Barbara Bush, the first lady of the USA, died at the age of 92 on Tuesday. Barbara Bush was the only American woman who saw both her husband and son as President of the United States in her lifetime. Her death was reported to the media by the Bush family. Barbara Bush was the wife of the 41st President George HW Bush and mother of the 43rd President George W. Bush of America. Bush’s family made a statement on April 15 saying that the first lady of America, Barbara Bush, has a poor health condition and has refused to take medical treatment. She will spend her time in ‘Comfort Care’. It is being told that Bush has been suffering from Chronic Obstructive Pulmonary Disease and Congestive Heart problems from recent years. 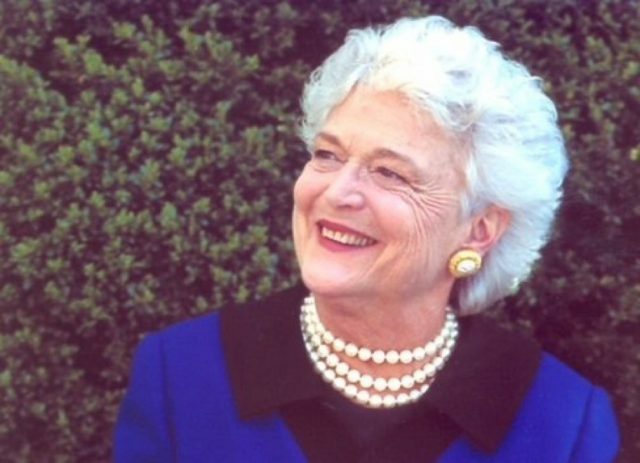 Before the demise, Barbara Bush was hospitalized several times due to illness.